Marketing is an ever-more competitive arena and businesses are looking for every way to get an edge on the competition. You need signage that will create impact and get people talking about your brand. And a great way to do this is to use vinyl car wraps. 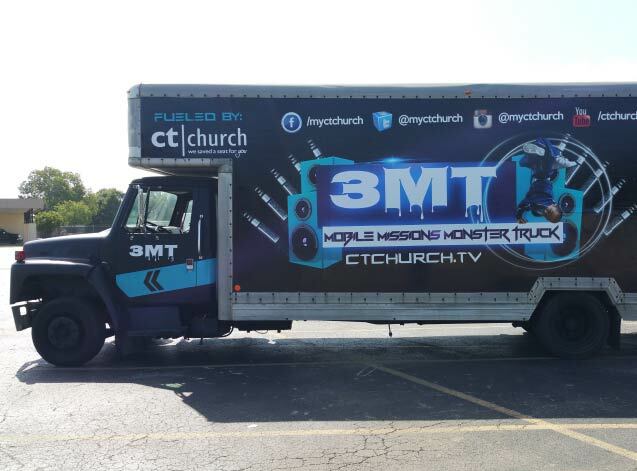 Houston companies can take their self-promotion up a gear by utilizing an auto wrap and turning their vehicles into moving billboards. This works well for a few reasons. Firstly, a vehicle provides a reasonably large surface area to create striking visuals and convey your message. Additionally, we are all used to seeing cars and vans in the same standard colors; when we see a vehicle in a fully branded vehicle vinyl wrap, it very quickly stands out and we take notice. At Southern Star Signs & Graphics we have completed some truly fantastic vehicle wrap projects and the results can be stunning. When approaching an auto wrap, the best thing to set as your goal is pure brand exposure. People will be struck by a great design, combining your logo and company colors, and this will create interest in your brand and company. If you try to go too heavy on detail in your vehicle vinyl wrap around a specific message, the design can look too busy and not have the desired impact. Another important factor is to ensure the design sits well on your vehicle. We’ll start with the dimensions and style of your vehicle and keep this mind throughout the design process. We have a lot of experience at designing great vinyl car wraps. 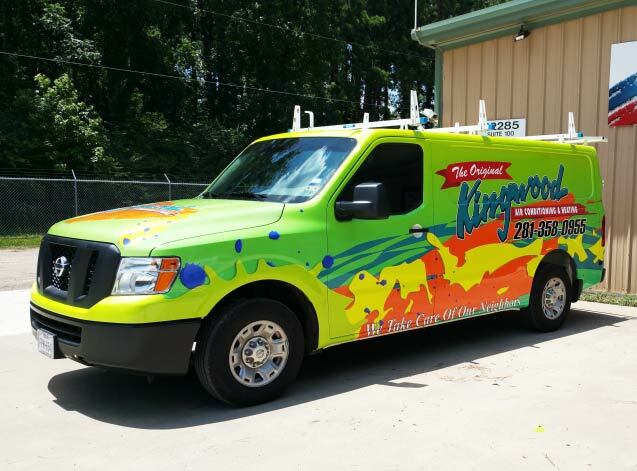 Houston businesses have been utilizing our services for years to get their fleet looking great. Once you’ve had a great vehicle vinyl wrap designed, you need to ensure that it’s printed to the highest possible standard. Our expert team uses the latest in latex printing technology to get a fantastic result. Not only does this offer fantastic printing capabilities; it does it in an environmentally-friendly way unlike the solvent-based alternatives. We use only the highest quality vinyl that is tough and durable to ensure it stands up to the challenge of being on the exterior of your car every day. Through rain and shine, your auto wrap will always look great. All of our printing equipment is perfect for creating vinyl car wraps. Houston vehicles look great once they’ve had a makeover from Southern Star Signs & Graphics. It’s important to get your auto wrap professionally installed so that it looks great from day one. 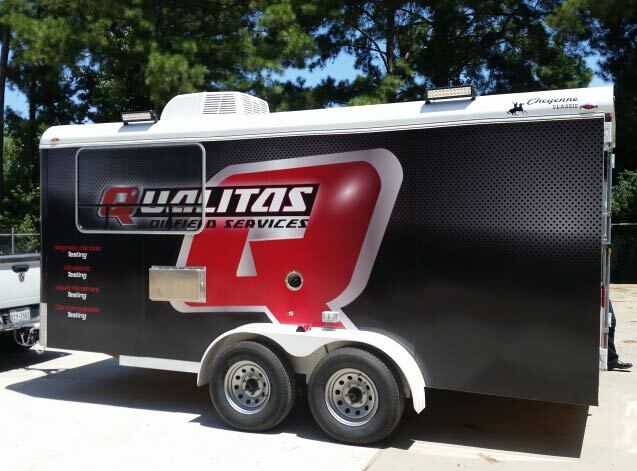 The team here have installed many vehicle wraps and are proficient at getting your auto covered and back on the road. We know that you can’t afford to have your business fleet out of service for any longer than is absolutely necessary. Our experts can install a vehicle vinyl wrap in as efficient a manner as possible and have you back out doing business. We’re proud to create great vinyl car wraps Houston businesses use to emphasize their brand. Call us today and let us pimp your ride.